The http://www.rmeyersfoundation.org project was a site that was designed, written, and deployed all in one day. The Foundation came to us and needed a site built immediately. The site was needed to help get key legislation through the Washington State legislature. The team was on a shoestring budget so we leveraged one of the free WordPress templates (Pilcrow) to make a clean, informative site that performed well on mobile devices. 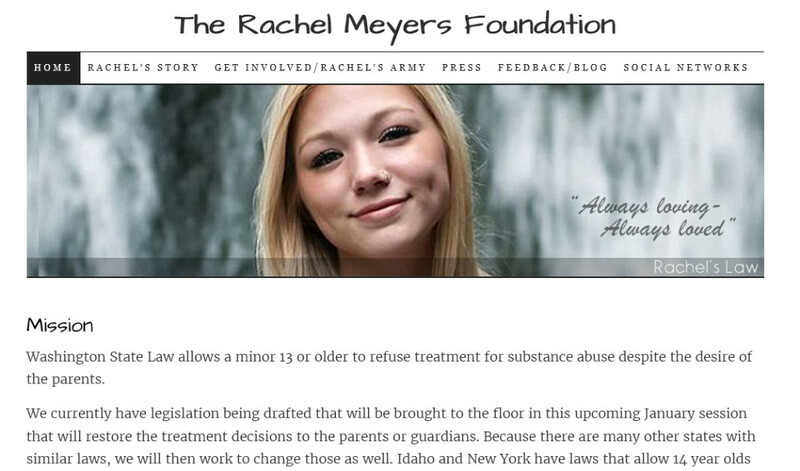 In addition to setting up the site, we set up a Facebook page for the foundation (https://www.facebook.com/RachelMeyersFoundation), created banner graphics, and assigned administrative roles to designated users. We then generated email addresses for a number of designated users of the domain and provided training on how to set up email on their various devices and generated a user guide to easily update website content using WordPress.